Melville, NY - July 28, 2016 - The Over 50 Fair, in its seventh year, continues to offer terrific opportunities year after year. The annual event is the largest “over 50” expo on Long Island. This year’s event, on Sunday, September 25 from 10-4:30 at the Melville Marriott, will have 80+ exhibitors and 30 speakers including many local beauty queens. “We will once again be offering our Singles Lounge, facilitated by 7 in Heaven Singles Events. Every year, our single guests request a way to meet other singles, and this area was a huge hit last year,” explained East Hills resident Barbara Kaplan, the Over 50 Fair director. Yoga class lead by Edith Jason, age 81. Photo Credit: Barbara Kaplan. North Shore LIJ's booth. Photo Credit: Barbara Kaplan. “Because Americans are living longer, they should seek to live life to its fullest. There are so many opportunities here on Long Island. The purpose of the Over 50 Fair is to show people where to find them,” shared Barbara Kaplan. Some of this year’s vendors will provide information about health and wellness products, home improvement, travel, financial services, realty, food, dental health, healthcare coordination, and in-home care. This event has been building a loyal following among the Boomer Generation during the six years of its existence due to its consistent presentation of a variety of classes and products they find appealing. The free opportunities this year include valet parking, chocolate samples, and health consultations. 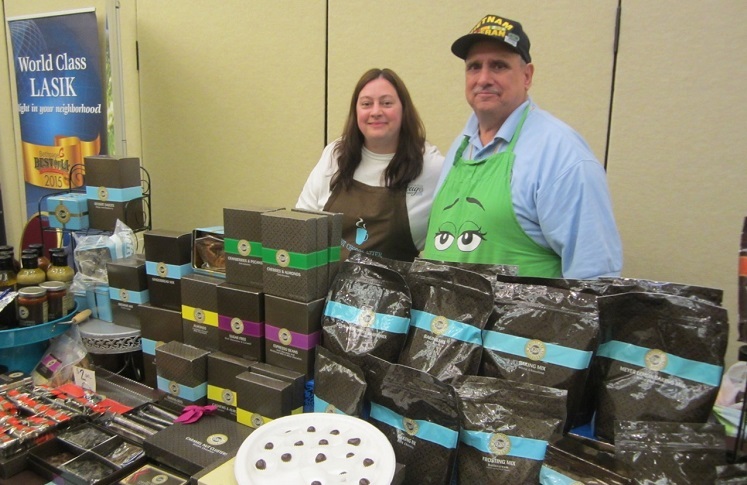 Kristina's Dove Chocolate Discoveries booth. Photo Credit: Barbara Kaplan. Lovely beauty queens will be joining us again this year, including Dolores Hofman, Ms. New York Senior America 2016; C.J. Marie, Ms. New York Senior America 2015; Jane Rubinstein, Ms. New York Senior America 2014; Elisabeth Zamarelli, Ph.D., Elite New York American Beauty 2015; and Amy Marchany, Ms. Royal America 2011-2012. The INN (Interfaith Nutrition Network), a local non-profit that helps Long Island’s needy, is once again asking people to bring non-perishable food and cash donations to exchange for raffle tickets for valuable prizes. 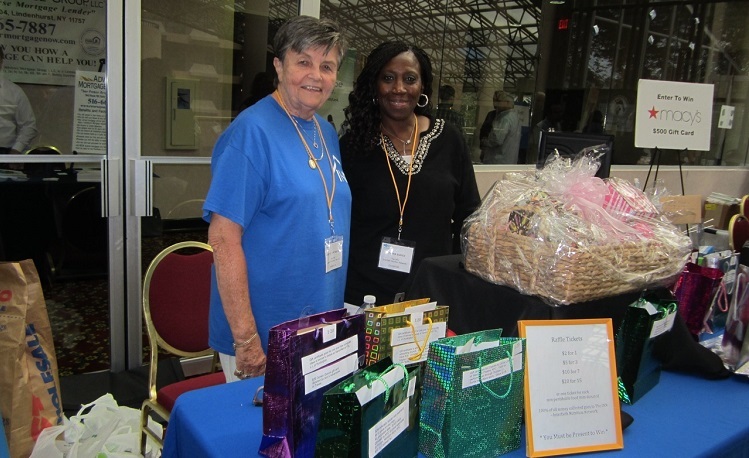 The Interfaith Nutrition Network's booth and raffle. Photo Credit: Barbara Kaplan. Admission tickets, which include access to all classes and exhibitors, are $6 online, $8 at the door, and free for Veterans. The Melville Marriott is located at 1350 Old Walt Whitman Road, Melville, NY, off the Long Island Expressway’s westbound (north) service road. When she is not working on large events such as the Over 50 Fair, Barbara is busy with smaller expos at Smith Haven Mall and Walt Whitman Shops, including upcoming kids’ events in August and a health fair in October. For more information, visit www.SpecialtyConnections.com and www.Over50Fair.com. Barbara Kaplan can be reached at 516-621-1446.